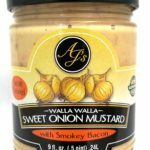 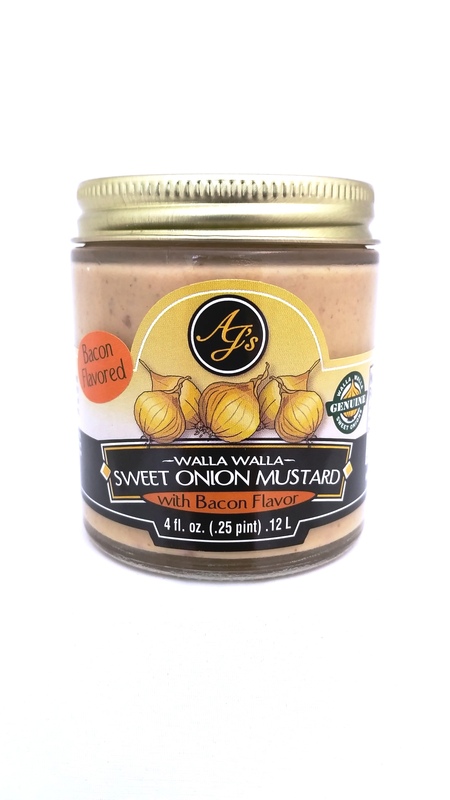 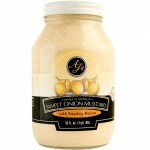 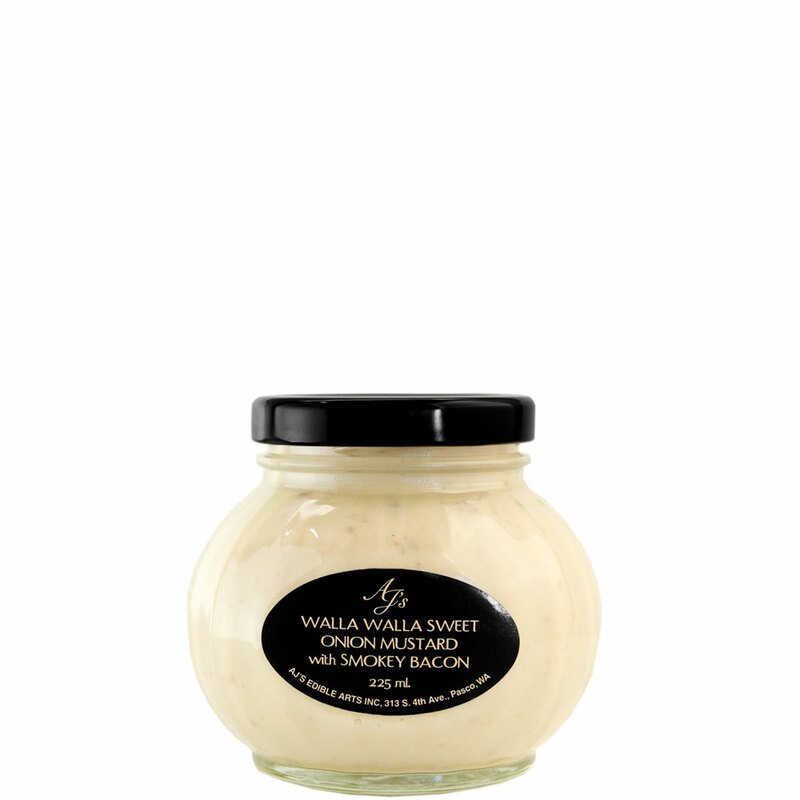 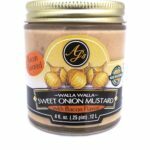 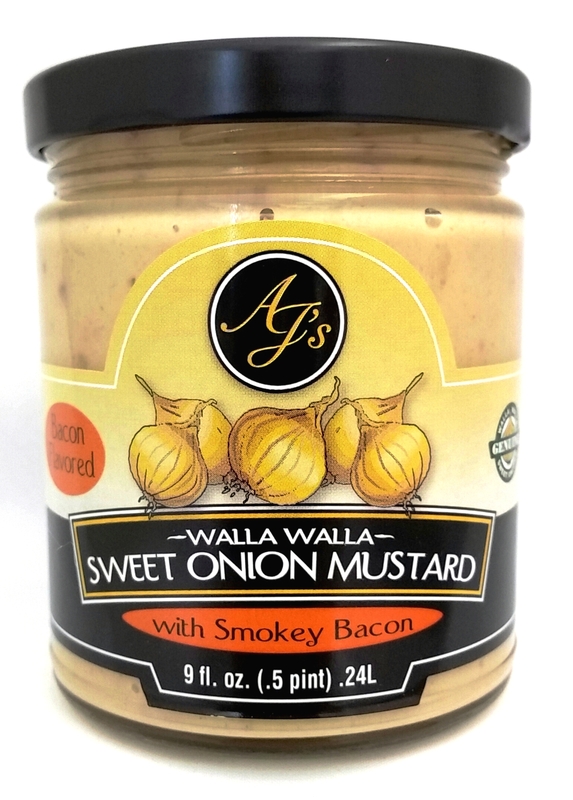 AJ's Walla Walla Sweet Onion Mustard with Bacon - AJ's Edible Arts, Inc.
Everyone loves bacon, so there's no way you can go wrong with this bacon mustard. 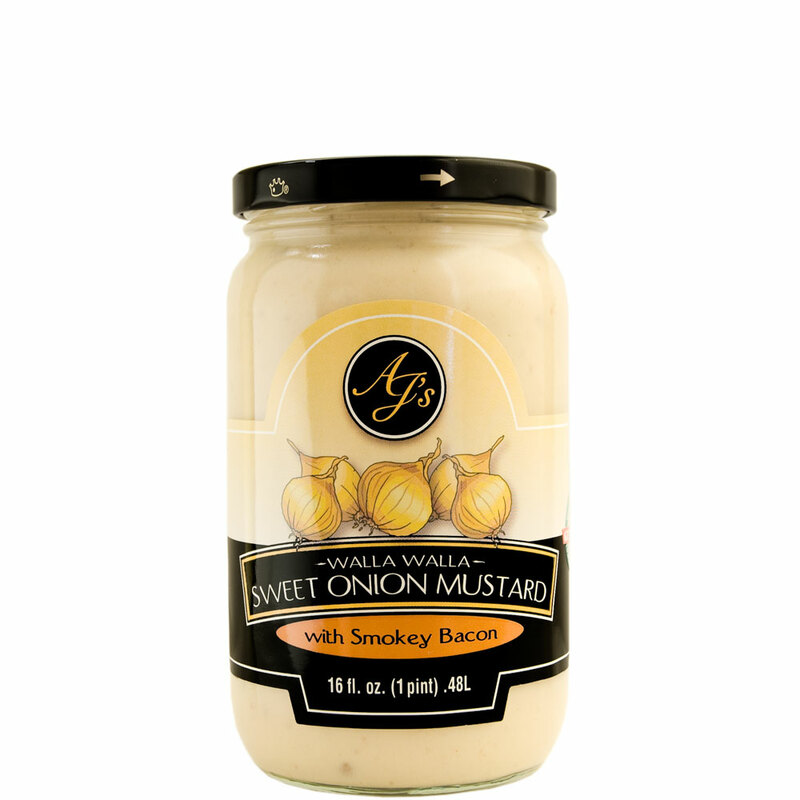 Our dijon style bacon mustard uses imitation bacon bits so you can have all the bacon flavor you love without the guilt or calories. Enjoy the smokey flavor of this version of our Walla Walla Sweet Onion Mustard as a perfect accompaniment to your sausage dog. Ingredients: Walla Walla Sweet Onions, white wine vinegar, water, sugar, ground mustard, soybean oil, egg whites, mustard bran, imitation bacon bits, granulated onions, molasses, liquid smoke, salt, lemon juice, citric acid, potassium sorbate.